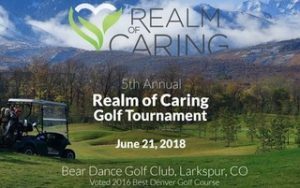 Realm of Caring is hosting their 5th Annual Golf Tournament at Bear Dance Golf Club in Larkspur, CO on June 21st and tickets are almost sold out! Bear Dance Golf Club is one of the top clubs in Colorado. 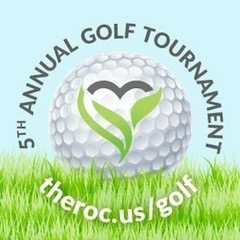 With “18 holes of championship golf amidst 753 acres of mountainous terrain and stunning views of the Front Range and surrounding Rocky Mountains, Bear Dance presents generous tree-lined fairways and intricate greens, providing a true mountain golf experience.” You do not want to miss this incredible event so register while you still can! 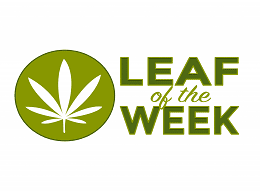 Realm of Caring is a NFP whose mission is to “improve lives through research, education, and advocacy.” They fund and conduct research to expand their knowledge of cannabis and to prove the legitimacy of its use as a therapeutic substance. The RoC also focuses on helping consumers by providing educational resources that assist in product and healthcare options based on each individual’s specific needs. The organization advocates for expanded access of cannabis to those who need it and spreading credible information about cannabis as a medicine. 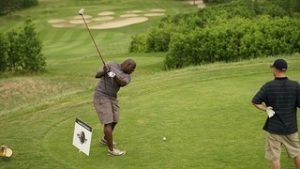 Last year’s Realm of Caring Golf Tournament raised $87,000! These funds were used to increase their Realm Care’s Financial Aid budget. It also allowed the continuation of their education programs to meet the needs of their always growing base of clients. At the time of announcing this last year, the RoC already had almost 40,000 individuals and families and growing! 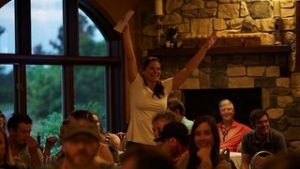 Besides an incredible day of golf with stunning mountain views, attendees will enjoy a wonderful meal with plenty of drink options and a chance to connect with several like-minded people all getting together for a great cause. To top the night off, there will be both silent and live auctions with some truly amazing items up for grabs. Someone is going home with a trip to Baja, Mexico! Maybe you’d prefer an autographed Willie Nelson guitar, or one of several pieces of autographed sports memorabilia! 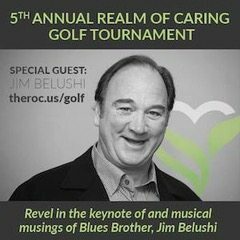 Either way, one lucky winner is going to get the opportunity to jam with Jim Belushi at the event! With so many reasons to attend this year’s 5th Annual Realm of Caring Golf Tournament, you do not want to miss out! Tickets do sell out every year and the event is already at 80% capacity, so register for tickets while they’re still available. You’ll not only have a once in a lifetime experience, but you’ll be participating in a worthy cause. For more information about how your participation will impact the quality of life for those in need, please visit the RoC website here.